The following are the latest results contributed by HM Courts Service, for cases sentenced by West Sussex Magistrates’ Court sitting at Worthing and East Hampshire Magistrates’ Court sitting at Portsmouth from February 20 to 27, 2018. Christopher Nutting, 49, of Marsh Lane, Runcton, was fined £3,000 and must pay £270 victim surcharge, £85 costs, after admitting drink-driving (87mg of alcohol in 100ml of breath) on the A3 Petersfield on February 4, 2018. He was disqualified from driving for 18 months. 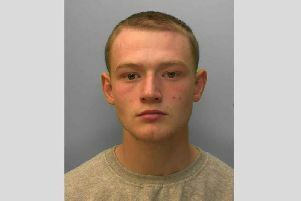 Jay Wood, 24, of Russet Gardens, Emsworth, was fined £500 and must pay £50 victim surcharge, £85 costs, after admitting drink-driving (71mg of alcohol in 100ml of breath) in Solent Road, Havant, on February 3, 2018. He was disqualified from driving for three years. Jack Beard, 24, of Lacock Close, Bracklesham Bay, was fined £80 and must pay £30 victim surcharge, £85 costs, after admitting failing to stop after an accident which caused personal injury to another person in Manor Road, Selsey, on February 10, 2018. He was fined £80 and disqualfied from driving for 24 months after admitting drink-driving (49mg of alcohol in 100ml of breath) in Manor Road, Selsey, on February 10, 2018. He was fined £50 after admitting wilfully obstructing a police constable in the execution of his duty in Bracklesham Bay on February 10, 2018. Adam Pheely, 28, of Farmside Gardens, Portsmouth, was fined £330 and must pay £33 victim surcharge, £85 costs, after admitting harassment by sending emails despite being repeatedly asked not to make contact. James Rogers, 39, of Kestrel Close, East Wittering, was discharged conditionally for six months and must pay £100 compensation, £20 victim surcharge, £85 costs, after admitting criminal damage to the front door of a property belonging to A2Dominion in Bracklesham Bay on February 13, 2018. Stewart Smith, 69, of Heathfield Gate, Bepton Road, Midhurst, was fined £346 and must pay £34 victim surcharge, £85 costs, after admitting drink-driving (58mg of alcohol in 100ml of breath) in Bepton Road, Midhurst, on February 7, 2018. He was disqualified from driving for 14 months. Barry Wynn, 50, c/o Felpham Way, Bognor Regis, was fined £320 and must pay £32 victim surcharge, £85 costs, after being found guilty of drink-driving (62mg of alcohol in 100ml of breath) in Chichester Road, Chichester, on February 7, 2018. He was disqualified from driving for 18 months. Matthew Roberts, 23, of Binsted Avenue, Felpham, was fined £400 and must pay £40 victim surcharge, £85 costs, after admitting driving without insurance in Sutton Close, Bognor Regis, on October 5, 2017. He also admitted driving a vehicle without an MOT certificate and failing to stop after an accident which caused damage to another vehicle, no separate penalties. His driving record was endorsed with six points.